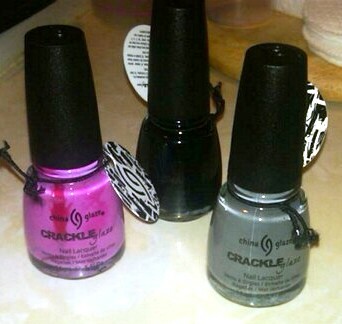 Okay... Have you all heard about the new "crackle" nail polish? If you haven't heard of this yet, please get up to date ladies! 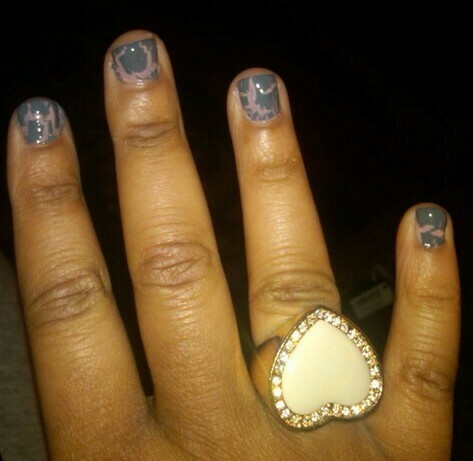 This is the newest craze in nail polish. I first heard about them a week ago. For those who aren't sure what I'm talking about, what it is is a nail polish that you put on top of your favorite polish and it gives a cracked design. It sounds crazy, but it looks great! I know it didn't come out perfect on my nails, but I still find the look to be very cool. 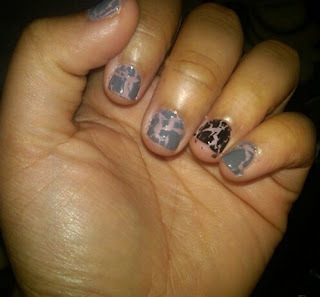 I painted the crackle nail polish over Avon's Speed Dry Nail Polish in Ballerina. Let me know what you think! God bless.